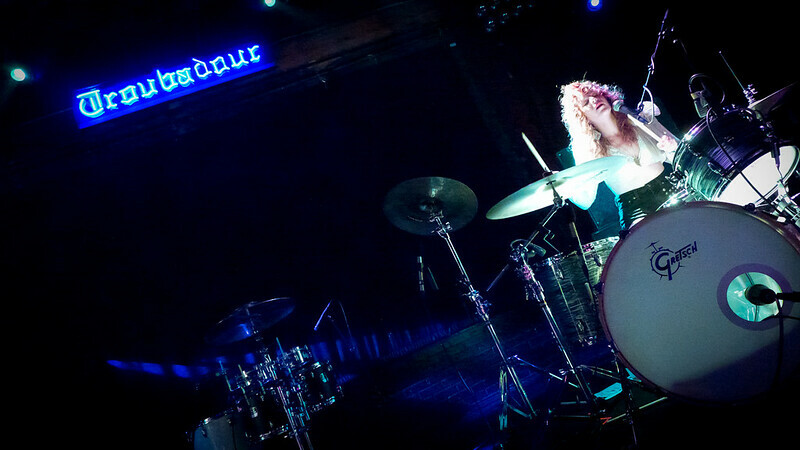 Lindsey Troy of Deap Vally at The Troubador in support of their debut album Sistrionix. 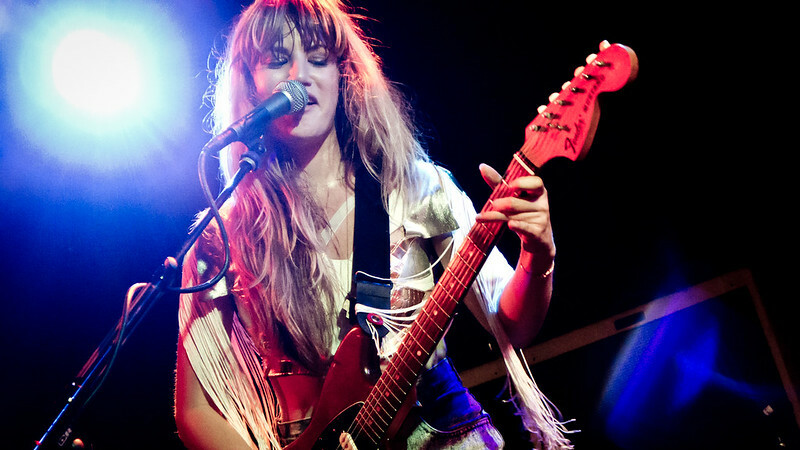 So glad I finally got to see Deap Vally. After performning a majority of their tour overseas, they finally played their hometown at The Troubadour to a packed and roaring crowd in support of their debut full length album Sistrionix. Like the burn of dry whiskey, they personify rock and roll at its finest. Classic rock with no apologies - and to do it with only sole guitarist Lindsey Troy and Julie Edwards on sticks. The one-time drummer of indie-darlings Pity Party, Edwards lets loose, feriously. There is order in her chaos. And add to that Troy's gravelly vocals and distorted guitars, and you get what some are comparing them to White Stripes and Black Keyes.